Yesterday, I had the chance to enjoy lunch with Eric Remy, cellarmaster of the legendary Domaine Leflaive. As always, it was a serious pleasure to taste the wines: Leflaive’s are among the most consistently excellent in all of Burgundy, and for fans of the region’s whites, it really doesn’t get any better. The Meursault, for all the expressive notes of melted butter on the nose, was lifted by an anise-like perfume hovering in the background, as well as subtle aromas of oak that, even this early in its evolution, were amazingly well-integrated. The palate was defined by spectacular minerality and a laser beam of acidity that was completely unexpected, but that opened up to express a bit more citrus, green apple, and floral character, as well as a wave of butterscotch on the finish that was flat-out irresistible. 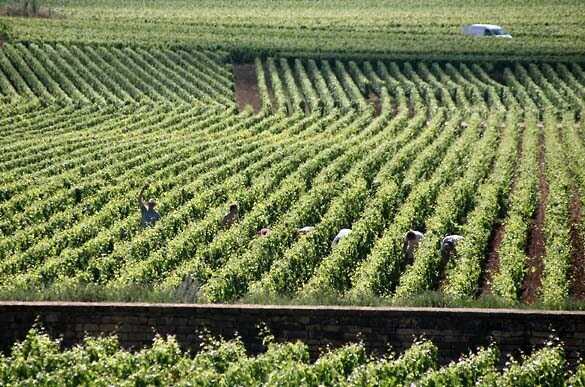 The Puligny-Montrachet, on the other hand, was marked by toasted anise and fennel, lemon oil, and spice. It gave the impression of astounding liveliness on the palate, its acid jumping on the tongue and throwing the orchard fruit of this wine into startlingly clear definition. Like the Meursault, this is one for the cellar: It has a very long life ahead of it. Or, if you’re thinking of opening it in the short term, pair with something that has enough richness to stand up to it: Enjoyed alongside the quenelles, it was impossible to stop going back to. Finally, for some context, take a look at the video below. It provides an excellent glimpse into where these wonderful wines are born and raised, the history of the Domaine, and the work the Leflaive team has done with biodynamics. This is one producer that, vintage after vintage, more than lives up to its vaunted reputation. 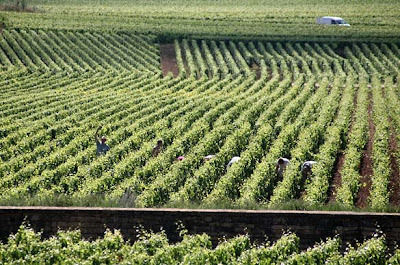 Domaine Leflaive: A Path to Follow from Wilson Daniels on Vimeo.